Notation at your fingertips. Literally. We pride ourselves on our intuitive interface that is so user-friendly, kids were able to use our program without any instruction. Your work space will be clutter-free, easy to navigate, and we offer non-invasive help functions any time you need assistance. We created Music Writer Touch to be up to date and compatible with common classroom trends so that instructors everywhere can use our program. No touch screen? Not a problem! MWT is still easy to use with a standard keyboard and mouse. 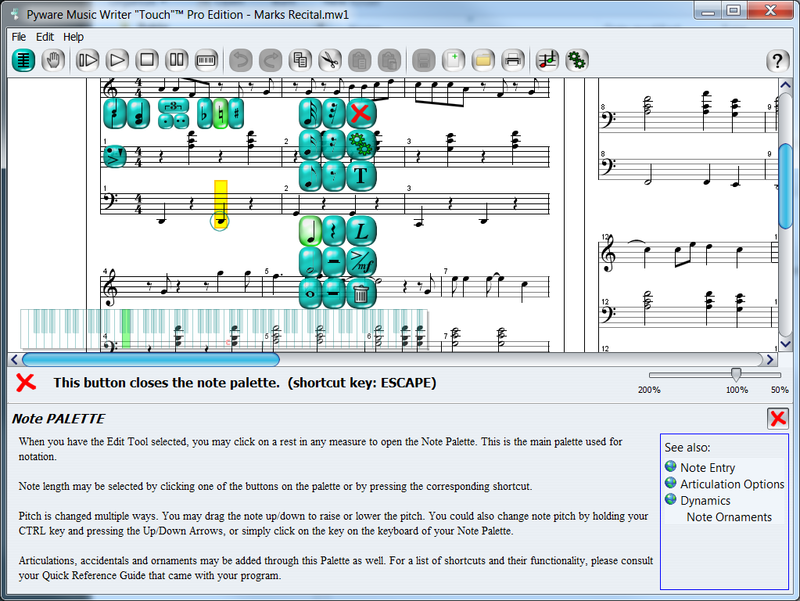 Music Writer Touch is perfect for instructors who want to encourage classroom engagement. With features such as our seamless touch screen compatibility combined with the easy to use interface, classroom participation is now easier than ever! MIDI input keyboard.With an interface you can quickly and easily resize, you’ll have no problem navigating interactive displays whether you’re working on a 17 inch monitor or a 6 ft. whiteboard. windows. Palettes in the program have a wealth of tools for notation. You literally have the components to begin notation at your fingertips. Take Your Work With You! Your MWT files are saved as MIDI files, which allows you to take your MWT work and listen to it in most MIDI playback devices and programs. Notes can be placed on your staff by a computer keyboard, mouse, MIDI keyboard, or even your hands (with a touch screen monitor). Notes are entered step-time with a MIDI keyboard. Not sure what a button or tool does? The Helper function gives specific information instantly. Selecting the Helper tool will open a small, non-intrusive window with tips and instructions for efficient music notation. 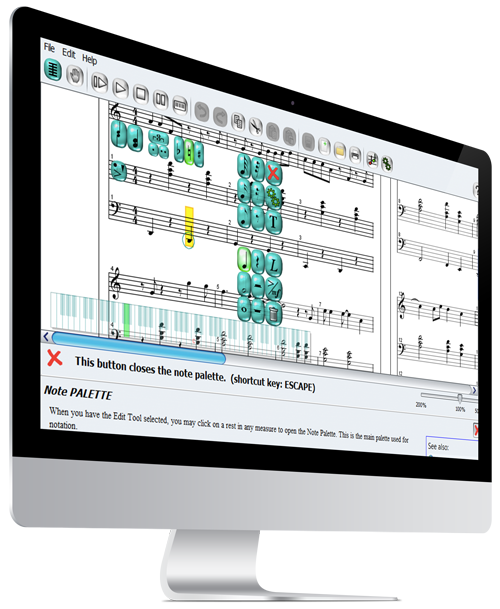 Quickly extract parts or instruments from scores or files with multiple instruments. MWT manages note spacing based on the size of the measure, note duration and accidentals automatically. However, if you feel that you would like to shrink or expand a measure, you can do so at any bar-line. Counts in a measure are tracked so all measures are balanced. Whether you’re ready for practice, turning in your homework, or distributing sheet music, printing in MWT will put your ideas on paper quickly. Less time spent prepping, more time spent playing. Intelligent Undo/Redo function has an impressive memory. You’ll be able to cycle through multiple actions to get back to the nearest correct spot in your notation. With both Scroll and Page View layouts available, you’re bound to find your rhythm for effortless notation. and run the program on a replacement – no questions asked. Help bring your classroom to life with our Music Writer Touch program! Your students will dive right in and instantly begin participating in classroom activities when using MWT.